Pinterest is a wonderful thing, it's always a great source for inspiration from entertaining to fashion to home to amazing recipes. I personally love using it as a place to keep tabs on things I want to revisit such as future travel plans. 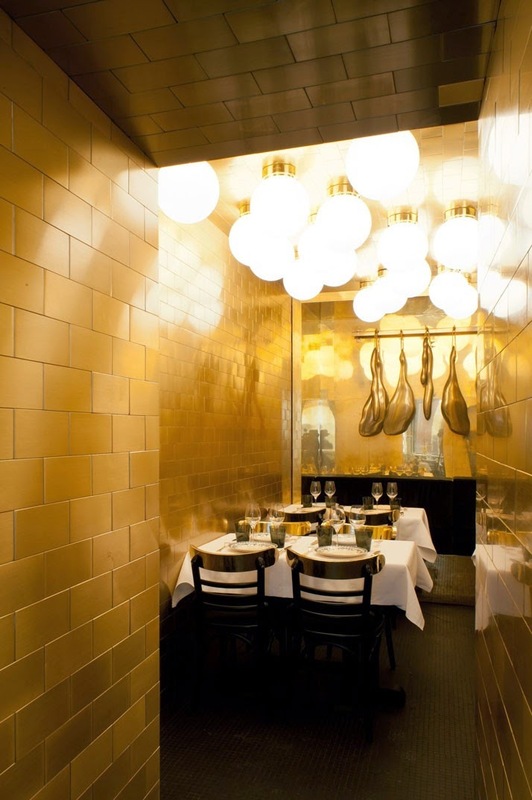 So when I saw a pin of a beautiful gold, black & white restaurant in I was quickly intrigued to find out more. 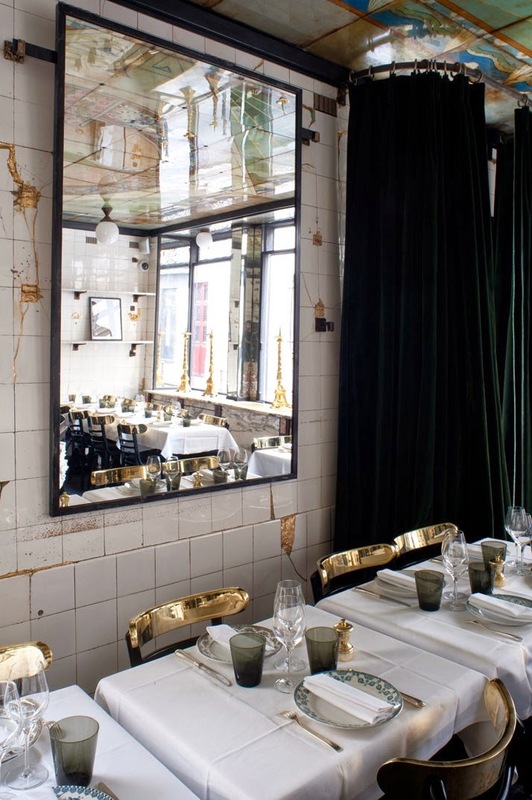 Anahi is a Argentinian restaurant located in the Le Marais district of Paris that boasts a beautifully rustic gilded interior. Formerly a butcher shop this restaurant has been taken over by a group that plans on renovating up to 40 restaurants in the area into chic dining hot spots. 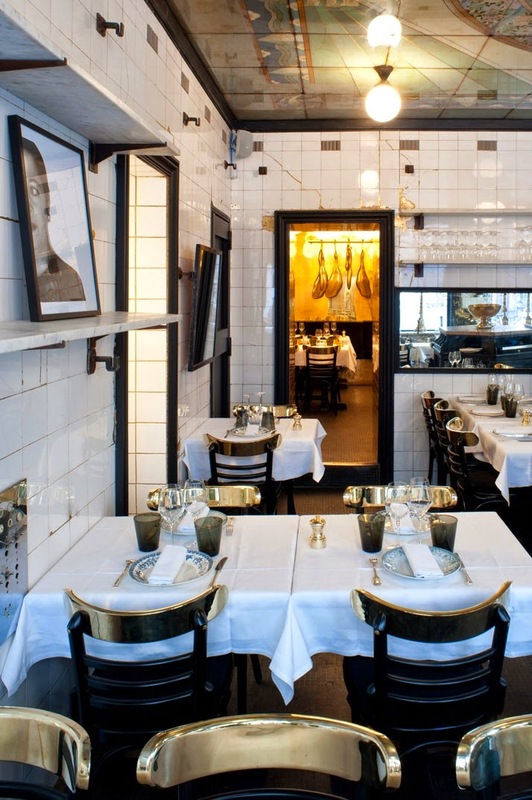 This will definitely be on my list of places to visit, the next time I am in Paris. 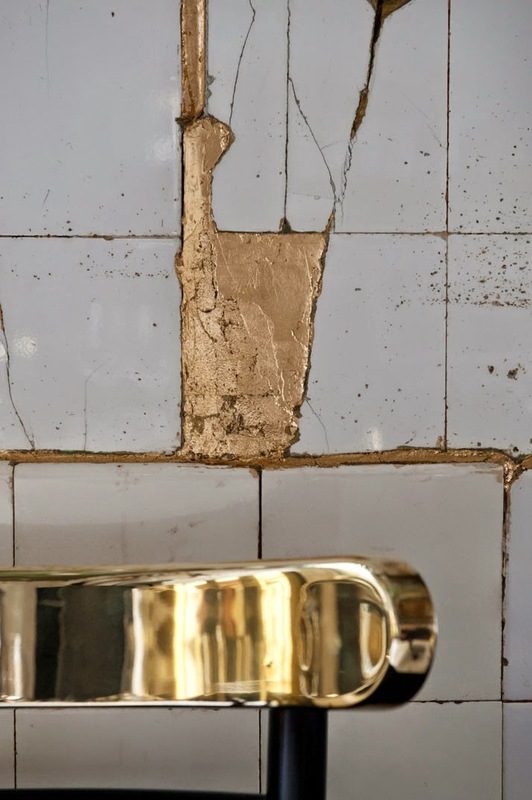 I read the designer mixed gold leaf into the grout to achieve this look - genius!